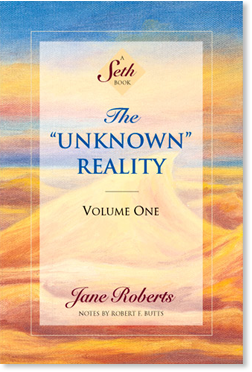 In this mind-stretching journey into the frontiers of consciousness, Seth reveals the multidimensional nature of the human soul. In Seth Speaks, Seth introduced the concept of “probable realities,” in which our idle daydreams and unfulfilled impulses do take place, in which all possible choices are fully experienced by other portions of the self. Section 1: You and the “Unknown” Reality. Section 2: Parallel Man, Alternate Man, and Probable Man: The Reflection of These in the Present, Private Psyche. Your Multidimensional Reality in the Now of Your Being. Section 3: The Private Probable Man, the Private Probable Woman, the Species in Probabilities, and Blueprints for Realities.